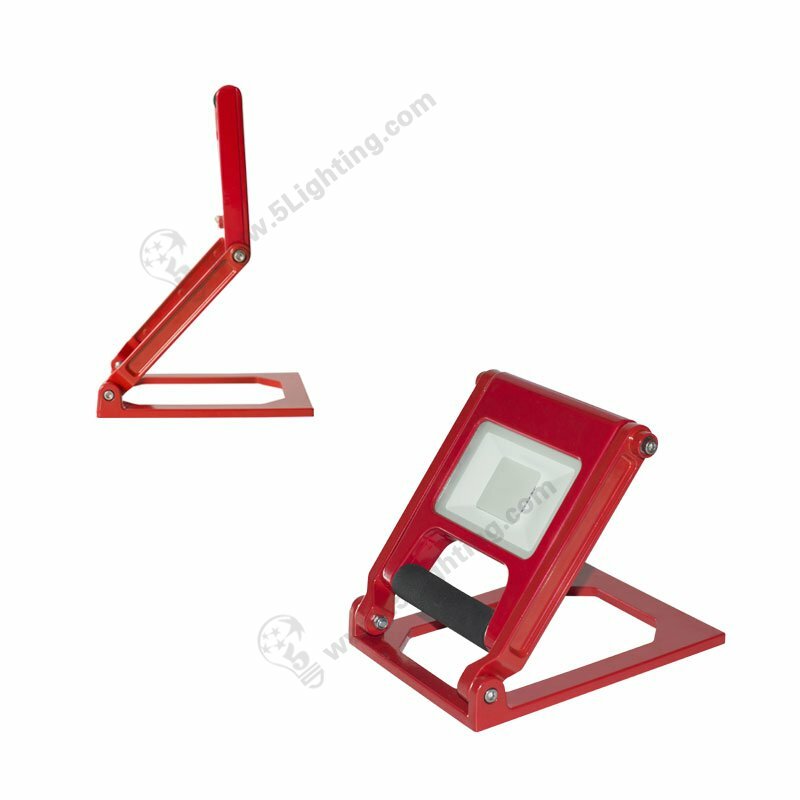 Portable led flood lights 20W, Rechargeable LED flood lighting fixtures. 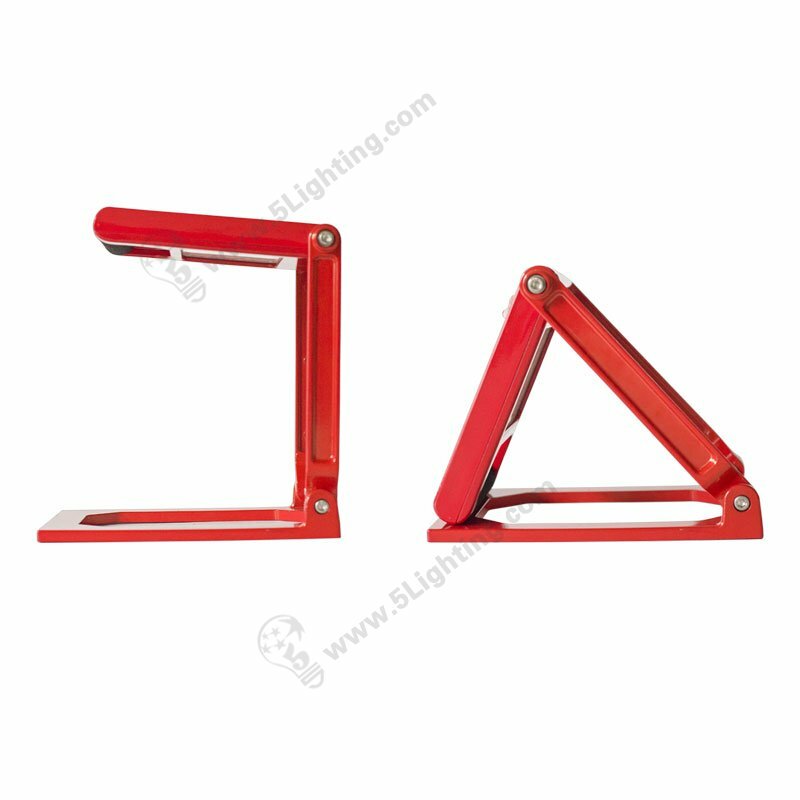 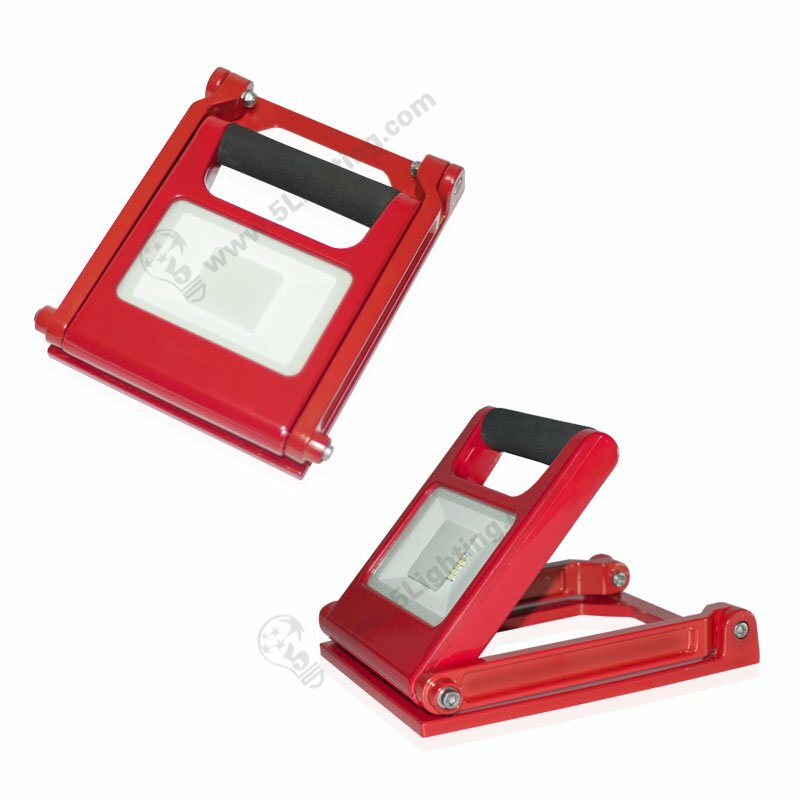 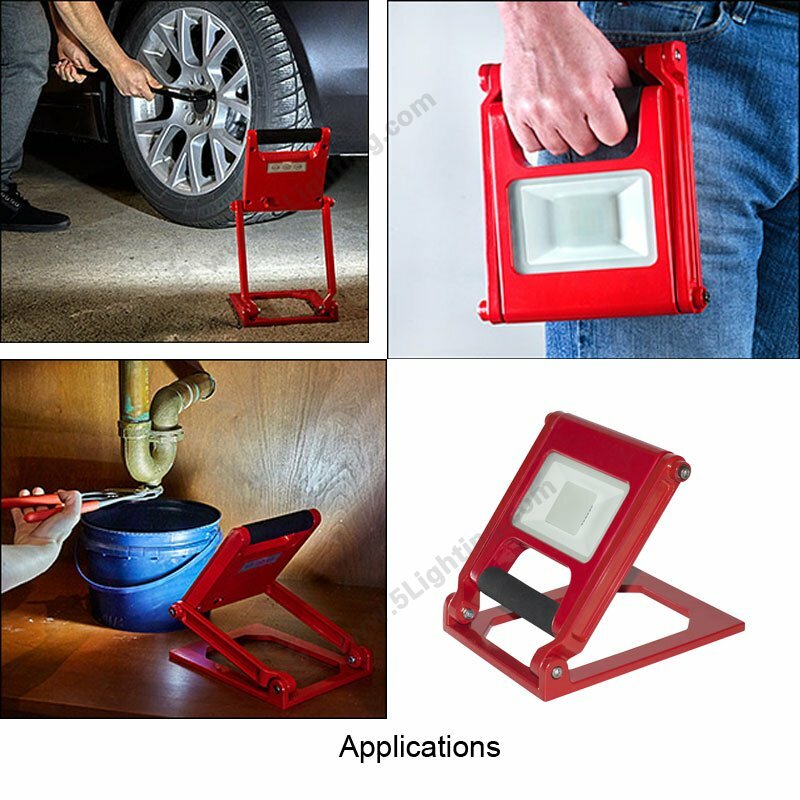 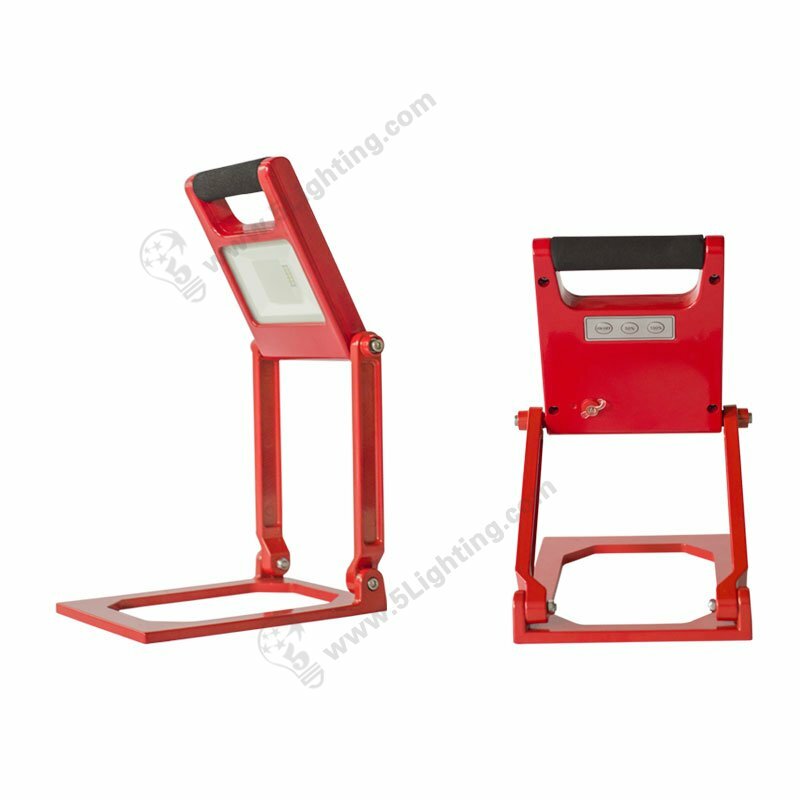 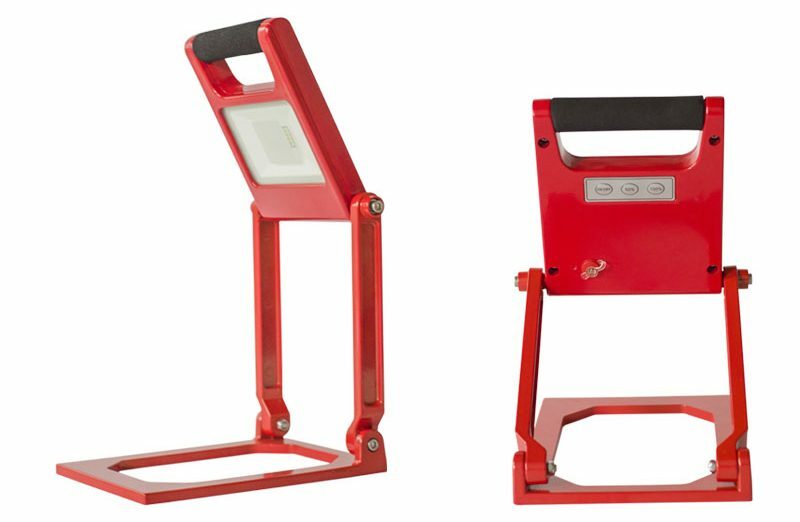 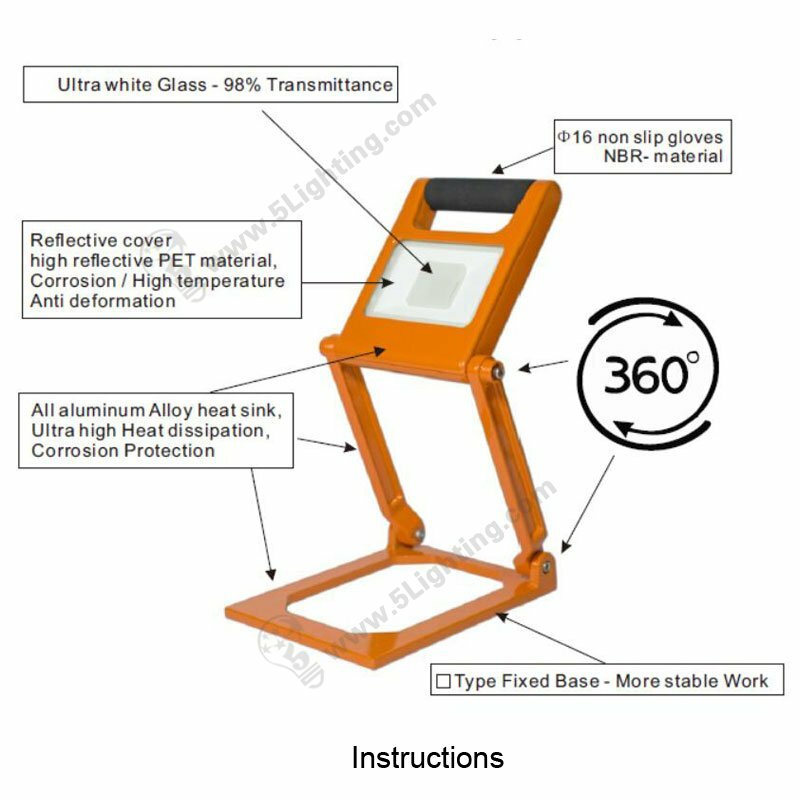 a): Wholesale portable led flood lights 20W adopts lightweight and slim shape design, that it’s very portable to carry and handle for worker to do some maintenance, or this chargeable flood light is also perfectly suitable for outdoor activities enthusiasts to carry, such as: climbing, Hiking and wild adventure etc. 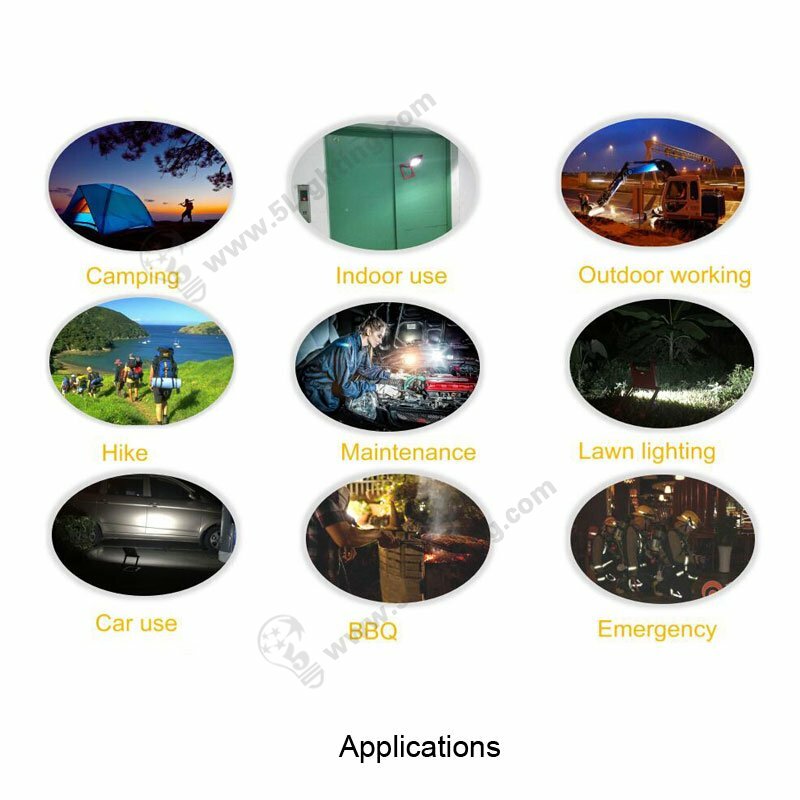 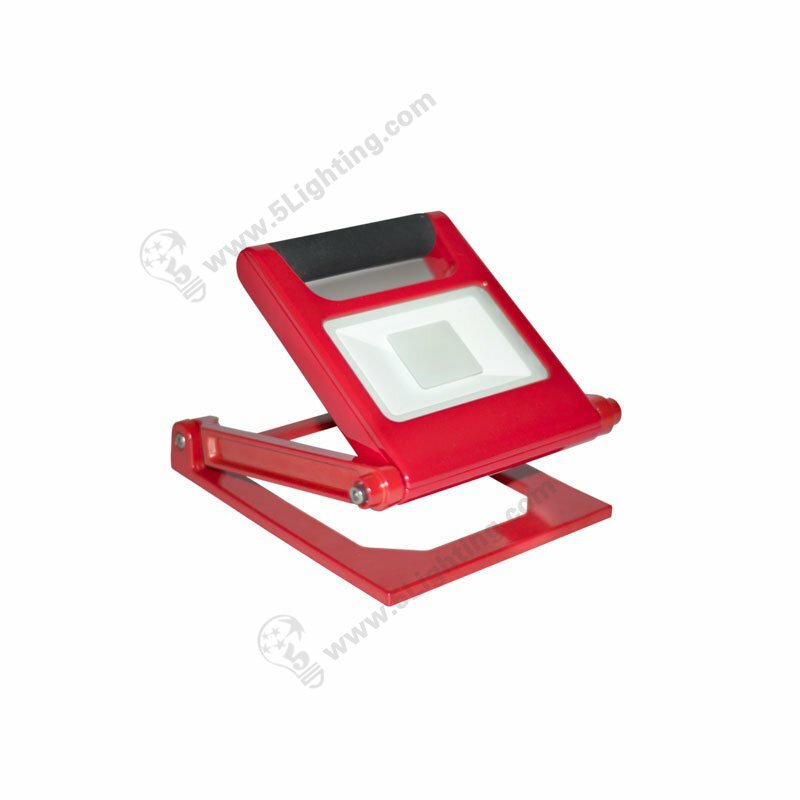 g): Hot item portable led flood lights adopts aluminum materials with high thermal conductivity, that affects excellent in heat dissipation, that make this slim flood light can last a long life span more than 50000hours. 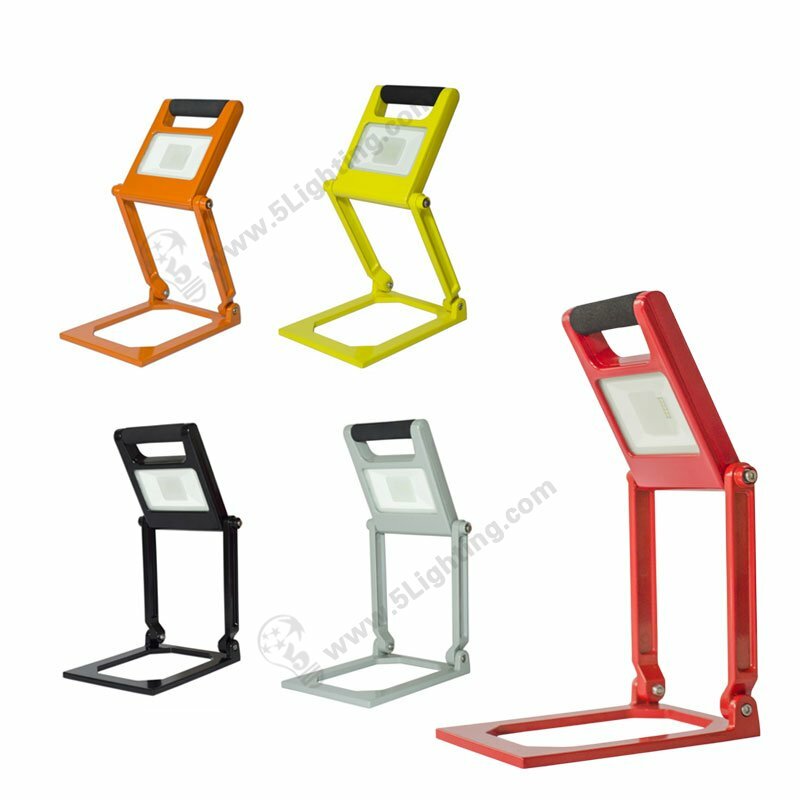 Factory direct sale creative item portable led flood lights 20W adopts creative technology that consists of portable lightweight design, chargeable design, and IP65 grade waterproof design, it’s really an almighty lamp that has been widely using in several kinds of indoor and outdoor activities lighting and emergency lighting etc. 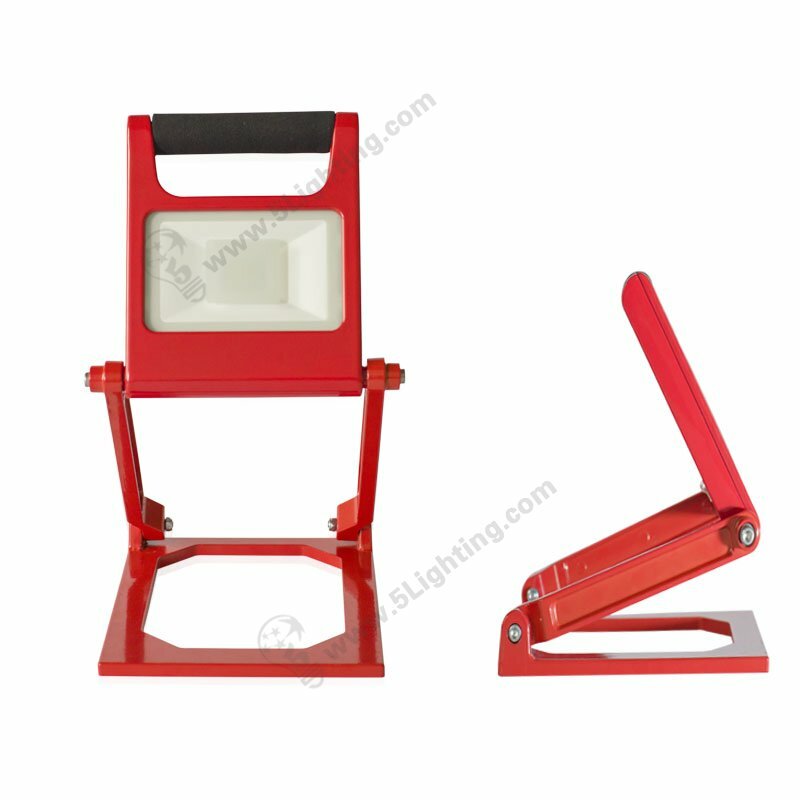 Great quality portable led flood lights 20W from 5 Star Lighting Factory! 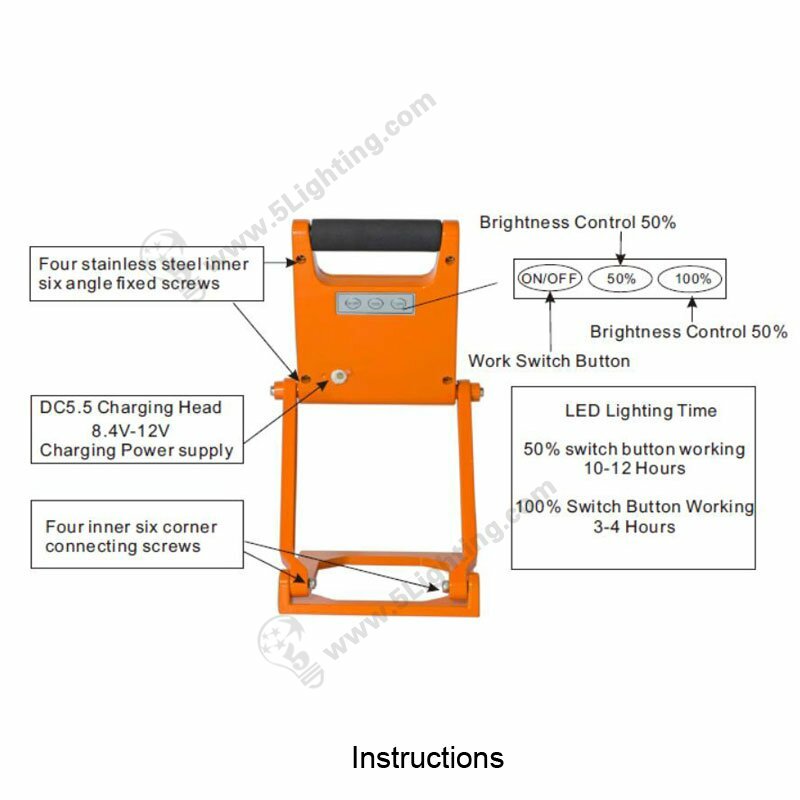 Portable led flood lights 20W, IP65, Fashionable design, Rechargeable LED Flood Lighting Fixtures, For outdoor lighting scenes.